I feel like I have not seen as many butterflies this year as in years past. I have been wanting to capture a good butterfly macro, but with the lack of subjects that I have seen, it has been hard. 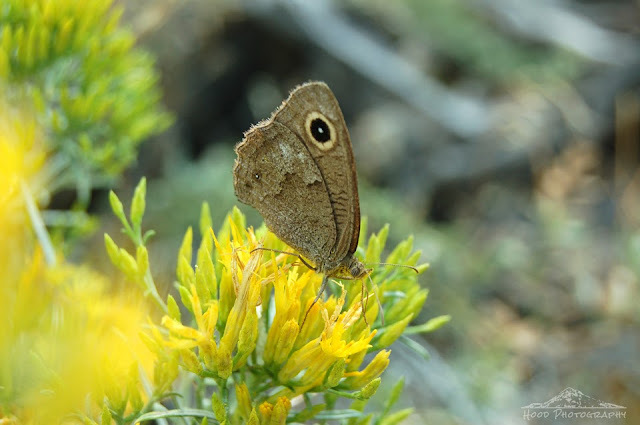 However, I was in central Oregon this weekend and this one fluttered right up to the flowers I was standing next too and patiently waited while I snapped my shot. Beautiful butterfly capture, you were blessed to have one come up. They have eluded me with my camera this year. I love butterflies! I guess I'm lucky because they always seem to be around on the weekend when I'm out and about in the yard. Great shot!